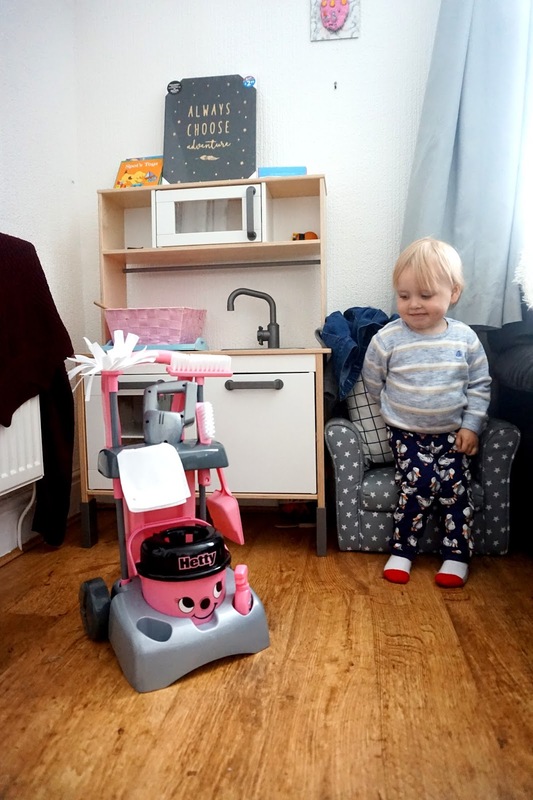 Anyone who knows my little boy, Freddie, knows that he is literally obsessed with Henry and Hetty. 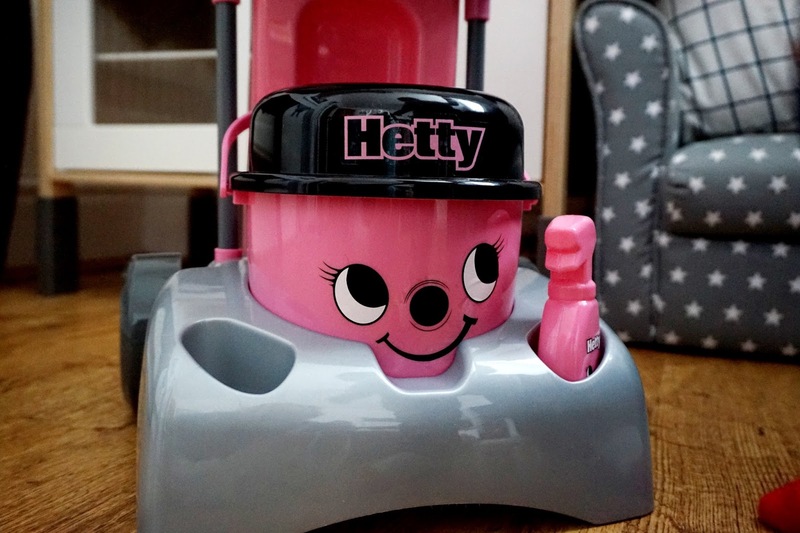 We have a Hetty hoover and ever since he started crawling he would clap his hands with a huge smile on his face the minute he saw our Hetty hoover. 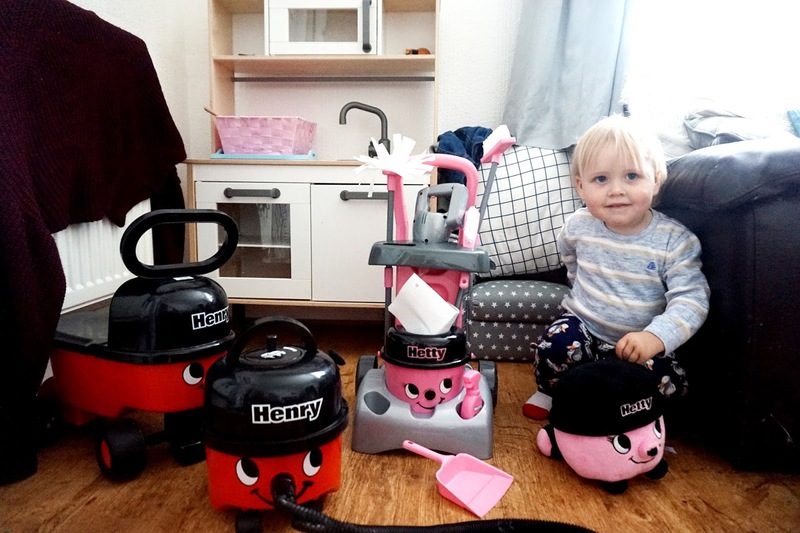 Of course, we bought him a few Hetty and Henry products over Christmas and his birthday last year. 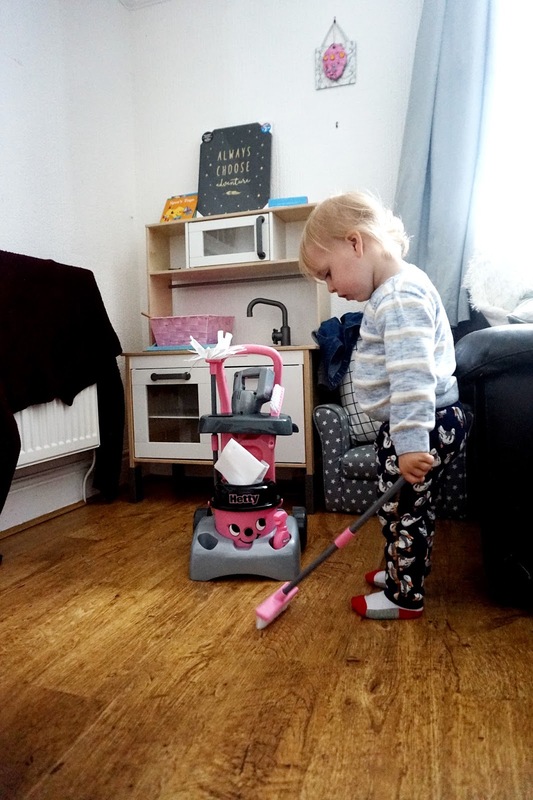 He's always had an interest in cleaning and especially hoovering. 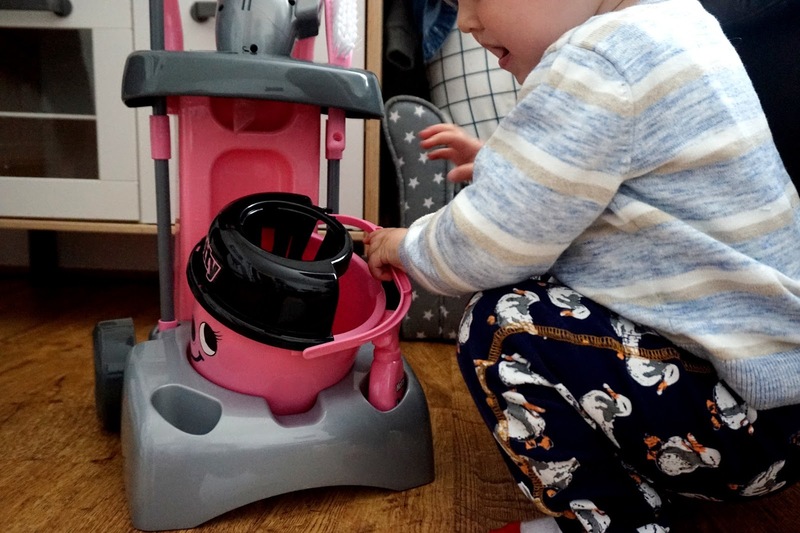 A couple of weeks back, we were sent the Casdon Deluxe Hetty Cleaning Trolley to review and the minute he saw the picture on the box, he got so excited. The trolley was really easy to put together, and it was done quickly. The cleaning set came with a pack of stickers which you stick onto the products and as you can tell by the photos, I'm not that brilliant sticking them on, a little bit wonky - ha! 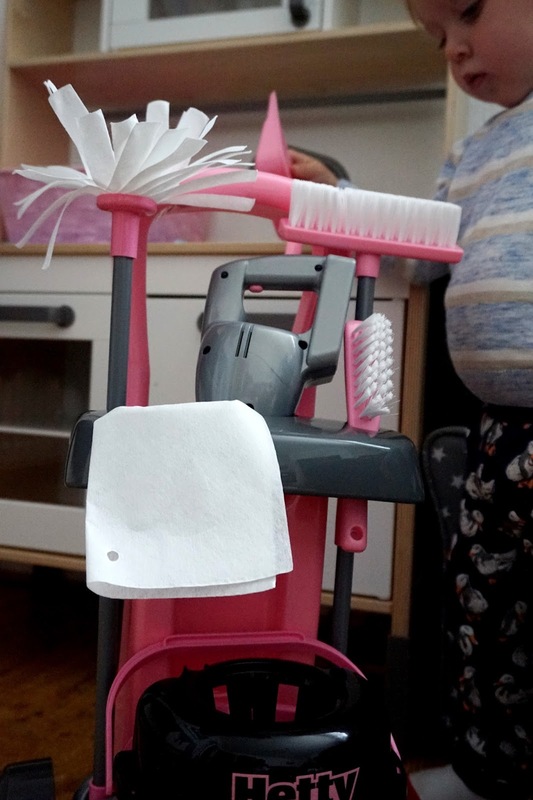 The trolley is packed full of cleaning things such as a mop, bucket, sprays, mop bucket, dustpan and brush and even a little hoover and cleaning wipes and bag. 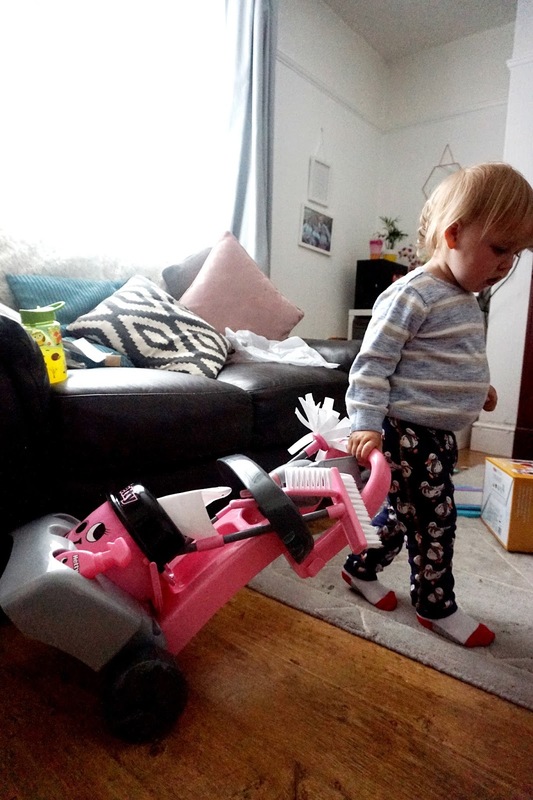 Freddie has had hours of fun cleaning with and pulling the trolley around the house. It's not heavy but it's great quality and will certainly last. * Some links in this post are affiliated - I earn a small percentage if you purchase from that link.